Electronic cigarettes have become viable alternative to the usual smoking tobacco products. As a number of cities on United States have banned public smoking, more & more smokers are switching to e-cigarettes. Best part about them is their lower degree of toxins and carcinogens as compared to traditional tobacco. Despite these reasons, there are ways to accept payments from MasterCard, Visa, American Express and Discover credit cards. Professional service providers team up with a range of reliable banks and offer customizable solutions for the business. Merchants are given access to pay terminals and latest POS systems to assure they get everything that’s needed to accept credit card payments in-store. In addition, solutions and tools that help in processing payments, preventing frauds and increasing revenues are also made available. For industry-affordable and competitive fees, choosing the right services providers is quite important. This is because staying away from risk factors and easy management of cash flow need in-depth & careful knowledge about the e-cigarette payment processing industry. After matching, the bank processes the application and determines the merchant account fees. How Paycron Provides Painless Processing Experience? E-cigarette industry has turned into a legitimate business field with growing community of loyal customers. 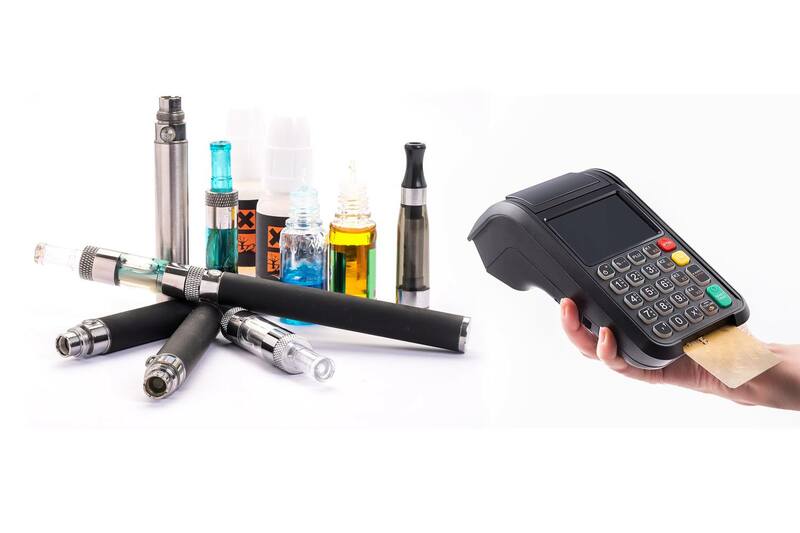 Merchants serving the community need online credit card processing for electronic cigarettes from professionals who won’t gouge them with undesirable terms on the contracts, hidden or excess fees, or avoid phone calls when the merchant has a concern. Though the high risk nature of vaping industry signifies higher rates, it doesn’t mean settling for exorbitant fees or lousy terms. Hence, partner with us for reasonable terms along with scope for growth in the coming years.